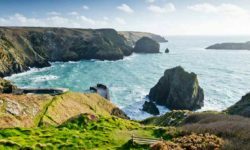 Cornwall sits proudly on the South West tip of England and welcomes millions of visitors a year seeking to get away from it all and enjoy their holidays. 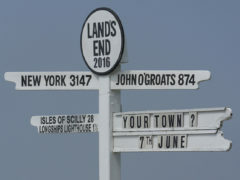 The county has 300 miles of coastline and is a peninsula of sweeping beaches, moss covered river valleys and beautiful moorland finishing at the world famous Land’s End – head there for a unique sign-post photo opportunity. 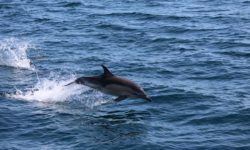 Lizard Point is the most southerly point in Britain and is a great place to explore – don’t miss the valley of the River Helford. The natural scenery of spectacular cliffs line the rugged northern coastline. 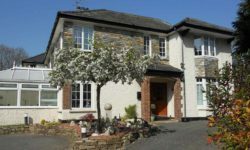 The brightly coloured villages including Boscastle, Bude, Padstow and St. Ives face the Atlantic and the coast produces great conditions for surfing, giving towns like Newquay a distinctive vibe. In contrast the southern coast is more tranquil enjoying a mild climate with sheltered sandy coves and clear waters. Vibrant towns and villages including St. Austell, Polperro and Mevagissey pop up along the coast creating a wonderful holiday atmosphere. Cornwall is well known for its variety of delicious locally sourced food and drink. 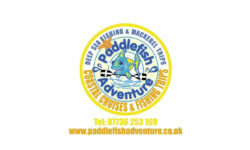 Specialities including cream teas, Stargazy pie, Hevva pie, Newlyn Crab, pilchards and Cornish Yarg cheese. 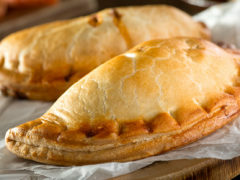 Oh, and don’t forget the world famous Cornish Pasty! 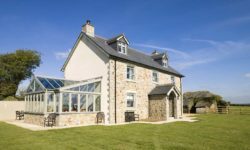 You can always find a welcoming spot for lunch or dinner, venture into a Cornish meadery or one of the many pubs and restaurants to be found across the county or check out one of the many food and drink festivals held in Cornwall. The county of Cornwall sits at the south west tip of Great Britain facing the Atlantic Ocean and is bordered in large part with Devon by the River Tamar. 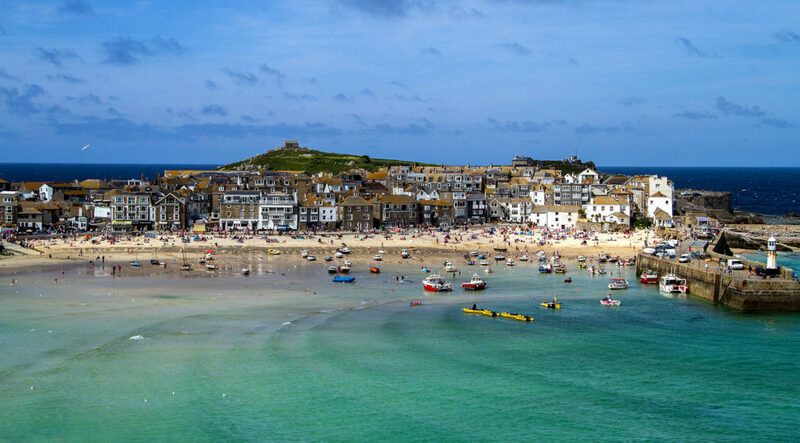 Cornwall is home to over half a million people but is visited by many more tourists each year. 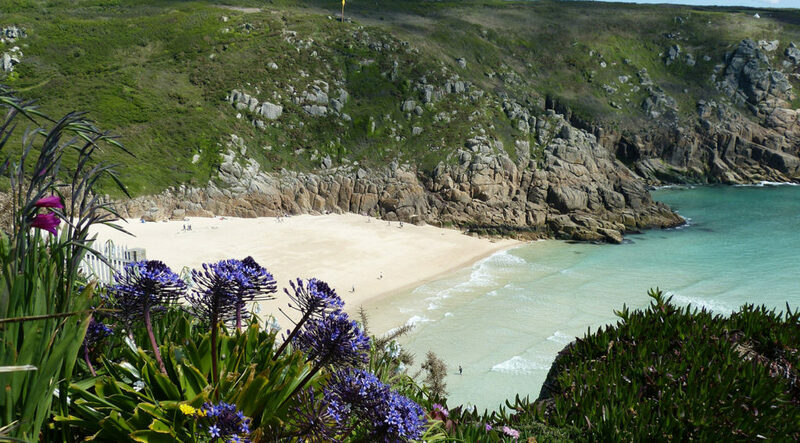 Cornwall includes the county town of Truro, Boscastle, Bude, Falmouth, St. Ives, the surfing mecca of Newquay and the Isles of Scilly, accessible by boat from Penzance and air. 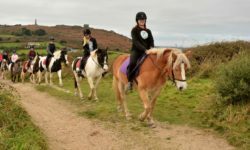 Cornwall has miles of sandy beaches, rugged coast line, rolling countryside and pretty villages within Areas of Outstanding Natural Beauty, including Bodmin Moor, making it a popular staycation and holiday destination. 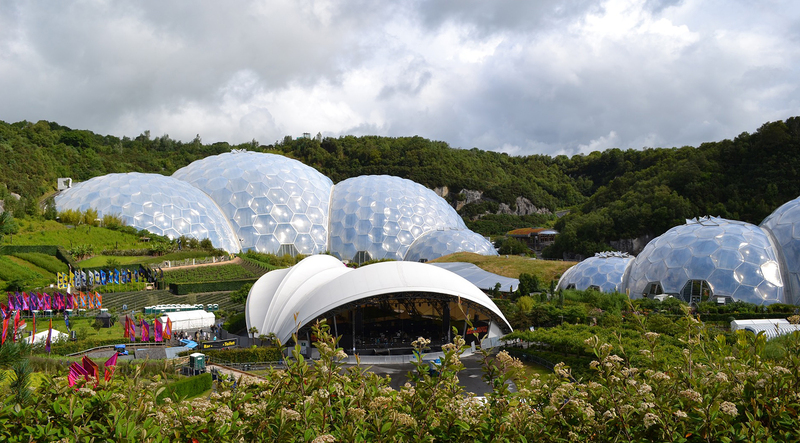 Read our Cornwall Guides to find out more about the beautiful county. 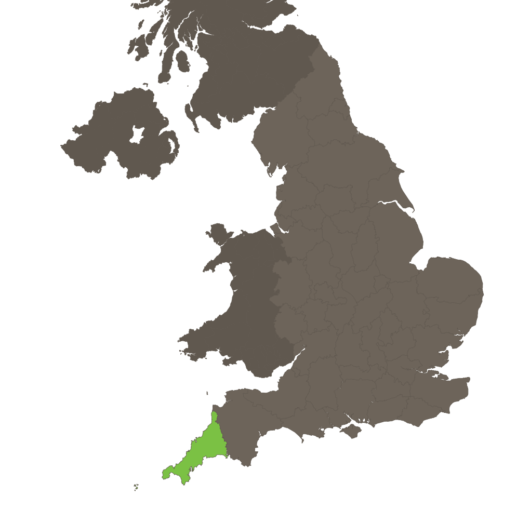 The Celtic nation of Cornwall has been inhabited since the Palaeolithic and Mesolithic periods. The Bronze and Iron Age saw the Brythons people form strong trade links with Wales and Brittany, resulting in language and culture being shared across the Channel. Tin mining started in pre-historic times and drew traders from all parts of the Mediterranean well before the Romans. 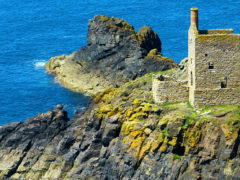 Largely by passed by the Romans after their invasion of Britain, Cornwall was subsequently ruled by Romano-Celtic chieftains. Mining remained as hugely important to Cornwall with the 19th century tin and copper mines at the forefront of the Industrial Revolution. Metal mining was succeeded by china clay extraction but by the 1990s mining for metal had all but ceased. Fishing, particularly of pilchards, and agriculture were important industries and today millions of holidaymakers and tourists generate significant revenues and employment in this fiercely independent county. 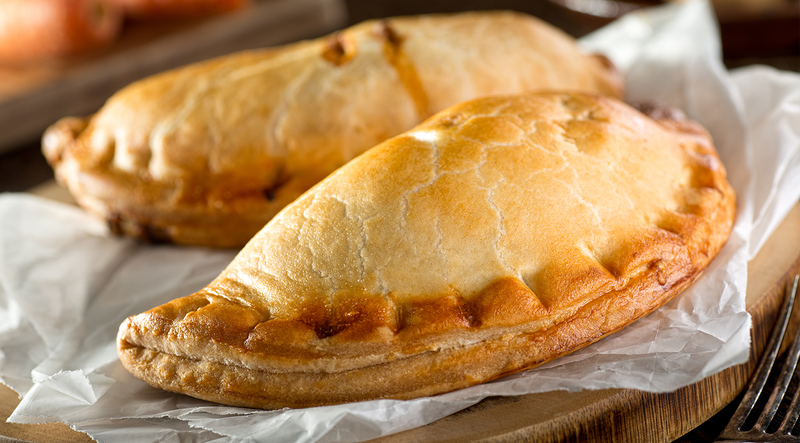 Famous faces include many of our Olympic medallists, musicians and actors include all the way back through history for the many tales of King Arthur but perhaps Cornwall’s most famous export is the legendary Cornish Pasty, Oggy, Oggy Oggy! 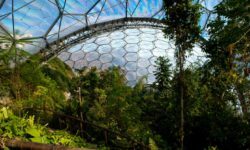 Cornwall is notable for its geological formations and the county includes a large part of the Cornubian batholith, a large mass of granite rock formed 280 million years ago. Large exposed masses are visible at Dartmoor, Bodmin Moor, St. Austell, Land’s End and the Isles of Scilly. 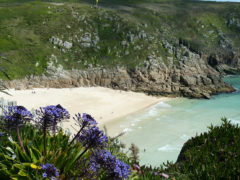 With nearly 200 beaches getting close to the sea isn’t a problem in Cornwall, though the two coasts are very different. The northern coastline is more exposed, facing the Celtic Sea and has a more rugged, wilder feel to it. Between St. Gennys and Boscastle you can find the appropriately named High Cliff, with a 223m sheer drop. 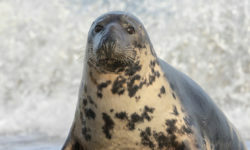 The coast also has a string of beaches and towns including Bude, Waterbay, Porthtowan, and the cobbled streets and fishermen’s cottages at St Ives. The South West Coast Path runs through Newquay, a magnet for surfing with many surf stores and hire shops in town. 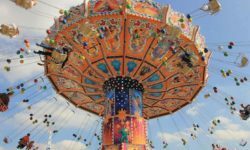 Waterbay hosts an annual music festival whilst Firstal Beach is home to the annual Boardmasters Festival a four-day event of surfing and skateboarding competitions, usually held in August. The highest point in Cornwall is Bodmin Moor in the north east of the county. The source of several Cornish rivers the land is dominated by granite tors and historic stone monuments. The area is also home to the legend of The Beast of Bodmin Moor – dare you venture out? 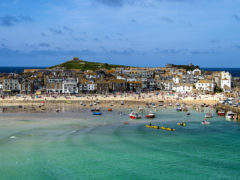 The southern coast of Cornwall, affectionately known as the Cornish Riviera, is more sheltered hosting safe harbours at locations such as Falmouth and Fowey. The picturesque fishing villages of Looe and Polperro are great places to explore and relax. 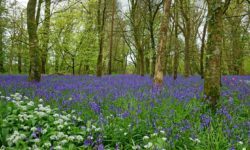 In addition, you can visit Lanhydrock the National Trust property near Bodmin. If you are into clambering over castles, then Henry VIII’s castles at Pendennis and St Mawes guarding the entrance to Falmouth are well worth a visit. For a magical day out take the family to Tintagel Castle, steeped in legend and mystery; said to be the birthplace of King Arthur and you can still visit nearby Merlin’s Cave. 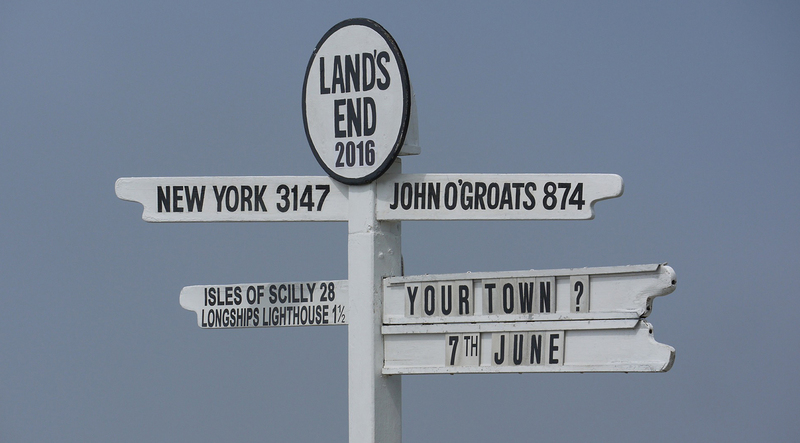 Mainland Britain’s most south-westerly point can be found at Land’s End – next stop North America! You can explore the area and take in the views from First and Last Point, gaze out towards the Longships Lighthouse and take a photo at the famous Land’s End signpost – how far are you from home now? The Isles of Scilly, not the Scilly Isles please! 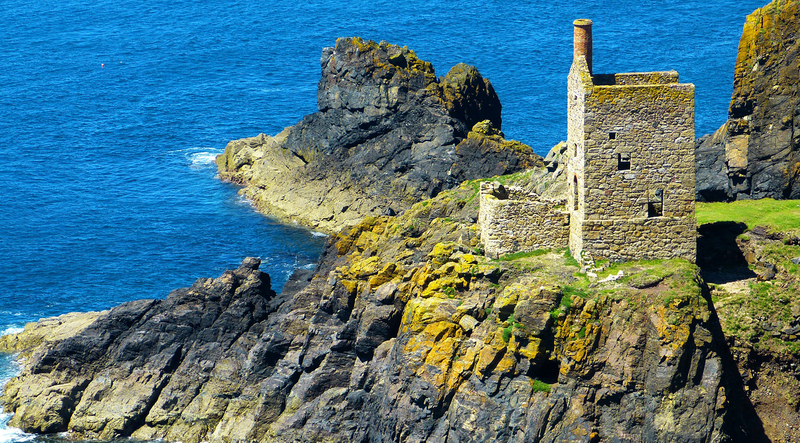 lie off the Cornish coast and are well worth a visit. Accessible by boat as part of a cruise, passenger ferry or air the archipelago is an Area of Outstanding Natural Beauty with 2,200 residents. How you spend your time is up to you – peace and tranquillity provide a great chill out opportunity. Or if get up and go is more your style, then walking and water sports abound including windsurfing, sailing, kayaking and power boating. Many new visitors to Cornwall will already be aware of some of the fantastic scenery as it acted as a backdrop to the BBC Poldark series. 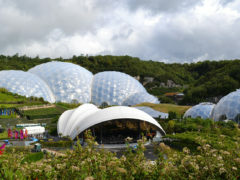 Cornwall is probably best seen from the car and is about 5-6 hours driving time from London via the M4, M5 and A30. Despite being on the coast, Cornwall is well connected to the rest of the country. The mainline railway from London Paddington reaches Truro in around 4 hrs 20 mins, with the option of an overnight sleeper train to Penzance. Direct routes also available from Bath and Bristol. Cornwall has an airport at Newquay taking daily flights from several UK and European airports. Click here to go back to The Tourist Trail homepage.